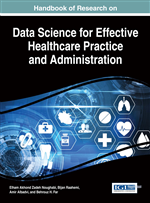 This chapter discusses applications of analytics at the strategic level of health system planning in the province of Ontario, Canada. To supplement the strategic priorities of the Ontario Renal Plan I, a roadmap developed by the Ontario Renal Network to guide its directions in coordinating renal care province-wide, an interactive user-friendly analytical capacity planning model was developed to forecast the growth of the prevalent chronic dialysis patient population and estimate consequent future need for hemodialysis stations at Ontario's dialysis facilities. The model also projects operational funding to care for dialysis patients, vascular surgeries to achieve arteriovenous fistula targets, peritoneal dialysis catheter insertions to achieve peritoneal dialysis prevalence targets, and incident dialysis patients to be sent home to achieve prevalent home dialysis targets. The model uses a variety of analytical methods, including time series analysis, mathematical optimization, geo-spatial analysis and Monte Carlo simulation. A diagnosis of CKD generally means that the kidneys have not been working properly in eliminating wastes and excess fluids from the body for at least 3 months. CKD is divided into five stages that depend on severity. If detected in early stages of the disease, it may be possible to slow the progression of kidney failure through lifestyle changes and medication. Once the kidneys fail (in stage 5 of CKD, which is also known as End-Stage-Renal-Disease or ESRD), patients may receive renal replacement therapies (dialysis or transplant) or opt for palliative care. A transplanted kidney may fail at any point and the patient be put on dialysis or opt to receive palliative care. While it is ideal to detect CKD as early as possible, the disease may go undetected up to the point when the patient needs dialysis. In fact, such “crash start” patients comprised about a quarter of new dialysis patients in Ontario in 2014 (Ontario Renal Network, 2015). There are two main dialysis modalities: hemodialysis and peritoneal dialysis. Hemodialysis draws the patient’s blood through a filter to remove waste products and excess water, and normalize blood chemistry. Hemodialysis requires a vascular access. Arteriovenous (AV) fistula and the AV grafts are vascular access designed for long-term use, with AV fistula deemed to be the superior vascular access type. Both AV fistulae and AV grafts are established by surgical procedures. However, these procedures are technically challenging, and many patients have suboptimal anatomy that precludes successful fistula or graft creation. Consequently, while AV access are associated with better patient outcomes, many patients require a central venous catheter for long-term hemodialysis access. Peritoneal dialysis utilizes the peritoneum, a membrane that lines the abdominal cavity as the filter and a catheter implanted in the abdominal wall to instill and withdraw dialysis fluid. Hemodialysis patients may receive dialysis care in a facility or at home, while peritoneal dialysis is generally performed at home. In-facility patients generally receive dialysis 3-5 times per week, while home dialysis patients are able to dialyze more frequently. Patients receiving home hemodialysis often dialyze overnight (nocturnal hemodialysis) to maximize hours of treatment while minimizing the number of daytime hours impacted by the therapy. From time to time, home dialysis patients may temporarily require care at a hub facility due to complications or the need for more intensive care. Such instances are called “fall backs”. A simplified CKD disease progression pathway is shown in Figure 1. At each transition point, a minority of patients progress to the next state. Other potential states include death, relocation, and non-dialytic management of kidney failure (conservative care with palliation). Arteriovenous (AV) Fistula: Generally considered as the optimal long-term vascular access for hemodialysis as it provides adequate blood flow, lasts a long time, and has a lower complication rate than other types of access. Chronic Kidney Disease (CKD): The presence of kidney damage, or a decreased level of kidney function, for at least three months, divided into five stages, depending on severity. Independent Dialysis: Dialysis administered outside of a hospital or other dialysis facility, typically at patient’s place of residence. Vascular Access: A lifeline for hemodialysis that provides an access for blood to pass through the dialysis filter and delivers back “cleaned” blood. Peritoneal Dialysis: A type of dialysis that utilizes the peritoneum that lines the abdominal cavity as the filter. The lifeline is a catheter which is placed in the lower abdomen. End Stage Renal Disease (ESRD): Stage 5 CKD. ESRD Patients typically need renal replacement therapy (i.e., dialysis or transplant). Hemodialysis (HD): A type of dialysis that filters the person’s blood through a machine to remove waste products and toxins. Dialysis: A procedure that replaces the filtering capability of a failed kidney. Dialysis can further be divided into hemodialysis (HD) and peritoneal dialysis (PD).